JSC “Rigas kugu buvetava” (Riga Shipyard) informs about refocusing on a new, promising area: producing of large-size metal structures such as tunnels, bridges. citing an increased competition in the segment of ship repair services and construction of new vessels. In an interview with Dienas Bizness, Janis Skvarnovics, Chairman of the Board of Directors at Riga Shipyard, admits that current orders of large-size metal structures, including tunnels, in the area of construction services come from Europe rather than from Latvia; however, he assumes that in the perspective, once construction of Rail Baltica has started, local orders may start coming in as well. How is the Riga Shipyard doing right now? The economic performance of the company during the first six months of this year is almost the same as for the whole Year 2014. Look for yourselves: the net turnover throughout the last year amounted to just EUR 17 M, while it has already reached EUR 10.24 M during the first six months of this year. We finished last year with a loss, while the first six months of this year already show a small profit of EUR 0.33 M (compare this to the loss of EUR 0.95 M over the first six months of the last year). During this year we have already provided repair services for 44 vessels, 38 of which underwent maintenance at the docks, while the Riga Shipyard provided repair services to 51 ships over the entire last year. Year 2015 is not over yet, of course, and it would not be wise to make any forecasts in the current situation. All the more so considering the fact that it is important in the business of ship repair services whether the winter is cold or warm; notably, whether November and December passes without severe frost. 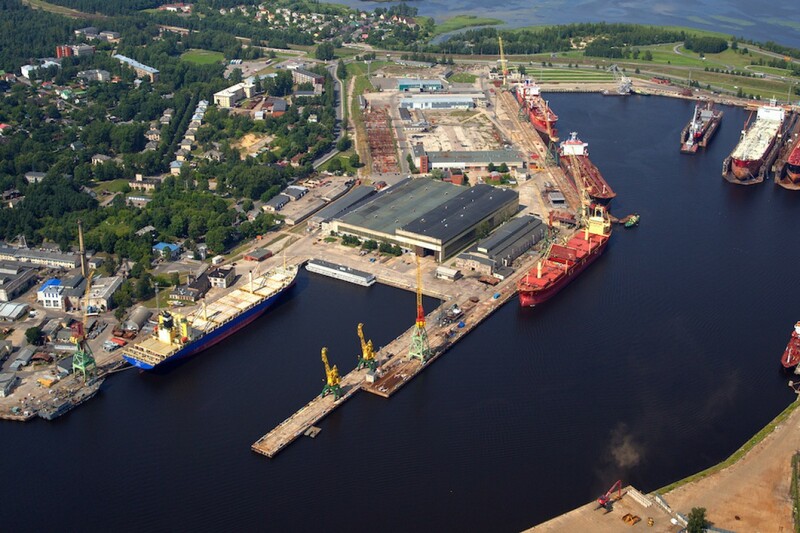 The current results suggest, however, that 2014 was the most critical year in the history of the Riga Shipyard. This was mainly due not only to an increased competition in ship repair services but also due to a drop in the demand for the construction of new vessels: this resulted in a fiercer competition and a greater choice for the customers. 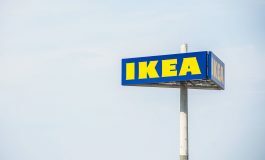 Of course, this situation was also affected by geopolitical events and was heated up even more by disputes among the company shareholders which have been brought before a court. This made it possible for shipping companies, ship owners and a part of the partners of the Riga Shipyard as well as individual counterparties to revise the agreements and models of agreements. A number of companies even tried to file for the bankruptcy of the Riga Shipyard. This stage has now ended. We are trying to start the production of large-scale metal structures used in the construction of tunnels and bridges because we have professional staff at our disposal, face an intensified competition in the sector of ship repairs, and there is free capacity for the construction of new vessels. 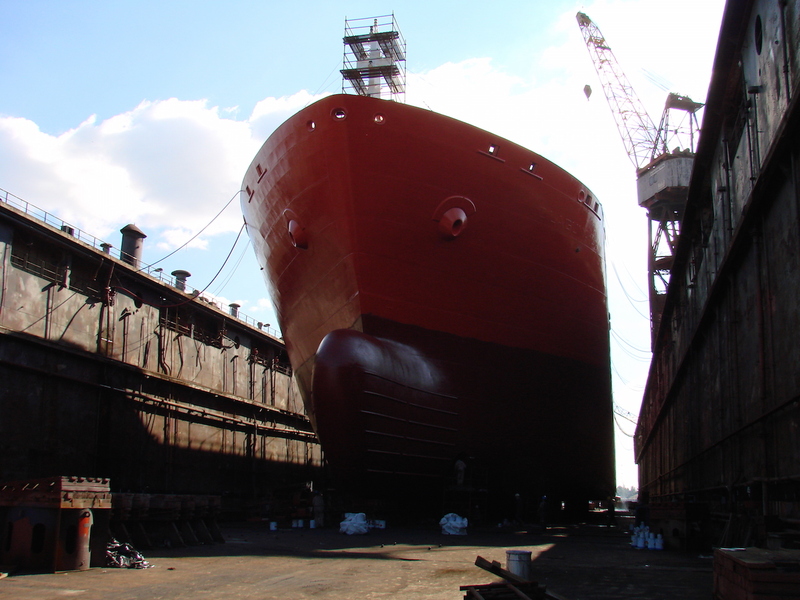 What is the cause of the increased competition in the segment of ship repairs? The main reasons are the economic downturn and changes to regulatory requirements. Similar to roadworthiness inspection for motor vehicles, vessels too have a deadline by which they have to undergo seaworthiness inspection. Of course, unlike cars vessels do not have to undergo the inspection every year. It was decided in Latvia a few years ago that motorcycles would have to undergo technical inspection once in every two years rather than every year, and a similar thing happened to the international regulations too, where the deadline for vessels for undergoing conditional seaworthiness inspection was extended. As a result ship owners are trying to save their money and postpone repairs which do not pose a threat to the safety of navigation. This situation will continue for another two years, and then the situation with repairs (seaworthiness inspection) will return to normal. The second factor – economic downturn – has forced ship owners to become thriftier, especially in the absence of very positive future prospects for the segment of the freight market in the Baltic Sea in connection with the reciprocal sanctions imposed by Russia and the EU and due to the fall in the value of the Russian national currency. The Riga Shipyard is competing with companies from Tallinn, Klaipeda and Gdansk (also Gdynia) in this segment currently. Customers are aware of the situation and want ship repairs to be finished within the shortest period of time as possible, with additional bonuses offered by the repairers. At the Riga Shipyard we place an emphasis on efficiency which enables carrying out ship repairs as quickly as possible. Of course, compared to our competitors the Riga Shipyard is unable to service large-sized orders, which is something that our competitors working as part of a group of companies are capable of. 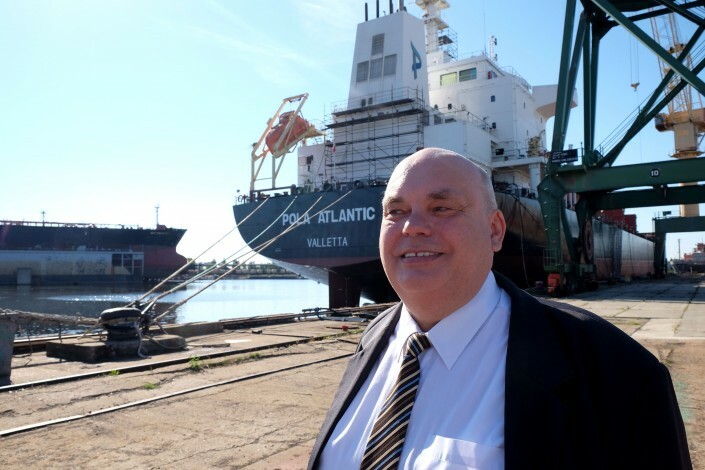 However, the results in ship repairs during this year show, the Riga Shipyard is working in the right direction, as shown by the results achieved. Of course, one must not stop at what has been achieved. Ship repairs provide a cash flow; one cannot speak of huge profits, though. The Riga Shipyard is currently working on establishing a network of agents which would help increase not only the number of ships repaired by the company but would also help procure new shipbuilding orders. What is the situation as far as procuring new shipbuilding orders is concerned? It is a different area of activity; still, it is affected by both the economic downturn and political decisions. The Riga Shipyard has to put four ships into service this year. The major works in this field are still to be completed in the second six months of this year. There are also tasks which need to be completed early next year. These are all fishing vessels for Norwegian, Danish, and Finnish fishermen. Fishermen in these wealthy countries, if we look from the Latvian perspective, have problems with obtaining credit for the renewal of the fishing fleet, too. 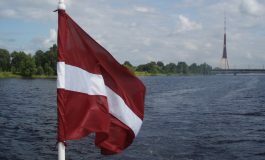 It seems as if it is not even worth dreaming about getting orders for fishing vessels from Latvia or any other country of the Baltic States despite the fact that many vessels have been scrapped. First of all, there is a period of silence in the fishing industry because the industry is facing a downtime following the decision of the Russian Food and Sanitary Service to suspend sprat exports to this country, in addition to the fall in the value of the Russian rouble. In addition to the economical impact there is also the political impact. In particular, it was decided in Europe to reduce the fishing quotas for certain fish species in the Baltic Sea. The Riga Shipyard once built patrol vessels for the Latvian marine border guards, and similar vessels were also built for the Swedish Coast Guard, but no new tenders have even been announced in this segment in this part of Europe for the time being. Another sector of production – production of offshore oil and gas platforms – which was once considered to be very promising is sort of stranded for the time being. The conflict in Eastern Ukraine and the weakness of the Russian rouble in economic terms, and the political background has in fact eliminated the need for such products in Ukraine and Russia. Trying to get orders to build mid-class ships (up to 130 m in length) for Asian countries is not very feasible economically because there are very strong shipyards in this region. Besides, once built, an empty vessel has to be driven nearly around the world and the costs of shipping are not low at all. Ship building is lucrative but the demand is minimal. By contrast, there are huge fluctuations from the viewpoint of cash flows because the construction of a ship takes 12 to 18 months, and the largest part of the payment is received when the ship has been built and transferred to the customer. However, all costs related to the process of shipbuilding – wages, taxes, power bills, etc. – must be paid by the ship builder in advance. How is the production of other floating vehicles doing? The Riga Shipyard once built, upon order by the Finnish company Vello, a floating power plant producing electricity from sea swell. Currently negotiations about the production of such a floating vessel – generator of power from sea swell – are under way but further progress of the negotiations depends on the availability of the EU Structural Funds for 2014 – 2020. Namely, the Finns wish to build the station using the EU co-financing. They have not started the implementation of the project yet in the absence of such European aid. However, the Riga Shipyard is currently working actively to acquire the market niche hitherto unfamiliar to the company. What is this new niche, and what does the shipyard plan to produce? We are talking about large-scale metal structures: bridges, viaducts, and tunnels. 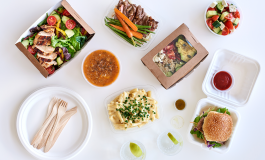 This market is available in Europe, and we are currently doing a lot of work to be able to submit our tender proposals to customers from Europe placing orders for such structures. Of course, just a few proposals out of many can turn into a real contract. But if we do nothing, we will never get to the implementation of such orders. There is no demand for large-scale metal structures of this type in Latvia currently; however, a tunnel is planned to be built as part of Rail Baltica which I mentioned earlier and if the Riga Shipyard will have previous experience of producing such products, why should anyone want to place an order for this structure with a manufacturer abroad? This would be beneficial not only for the Riga Shipyard but also for the state as the customer because this would help reduce the costs of transport of such a structure, it would help create new jobs and generate taxes for the state and municipal budgets. Are you facing any competition from Russian companies? No, we are not. The Russian industry of shipbuilding and ship repairs is tended towards the military sector, and it seems that despite its size the industry has no capacity available to enable it to further intensify the competition in the sector of both ship repairs and vessel construction. In turn, Russian fishermen will hardly want to commission vessels outside Russia both for economic reasons – the costs are lower there and a vessel will cost less there – and for political reasons, especially if the funding for the renewal of the fishing fleet is coming from the Russian state budget. Of course, ships carrying Russian names are undergoing repairs in Riga too; however, they are all owned by shipping companies registered in countries of the so-called flags of convenience. Additionally, all payments here are made in euros.